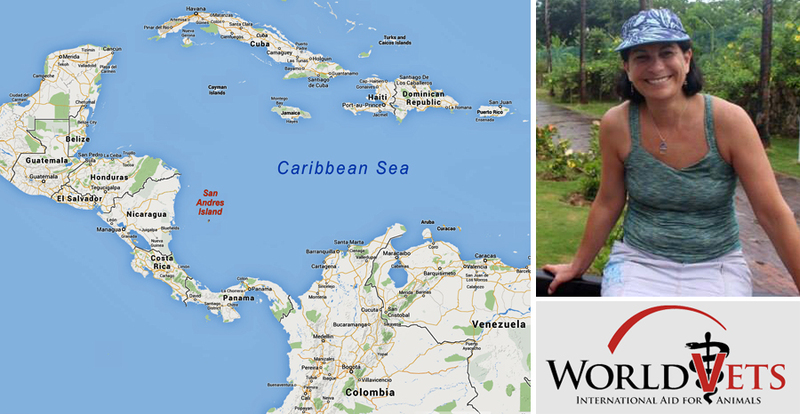 A few weeks ago, I traveled to San Andres Island (politically part of Columbia, but geographically off the coast of Nicaragua) as a member of a World Vets team—a non-profit organization that provides free veterinary care to communities in undeveloped countries. Last fall was my first experience with this wonderful program, when I went to Ecuador — an adventure that was initially a bucket list item for me, but I then realized that international vet work is meant to be part of my life. So, one trip a year from now on! San Andres is a small Caribbean island, only about 10 square miles, with a population of over 75,000. 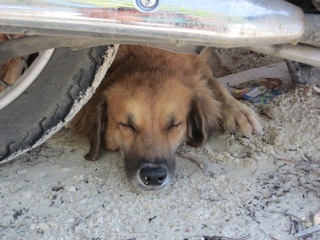 This translates into a huge number of dogs and cats, many of them “street” animals. 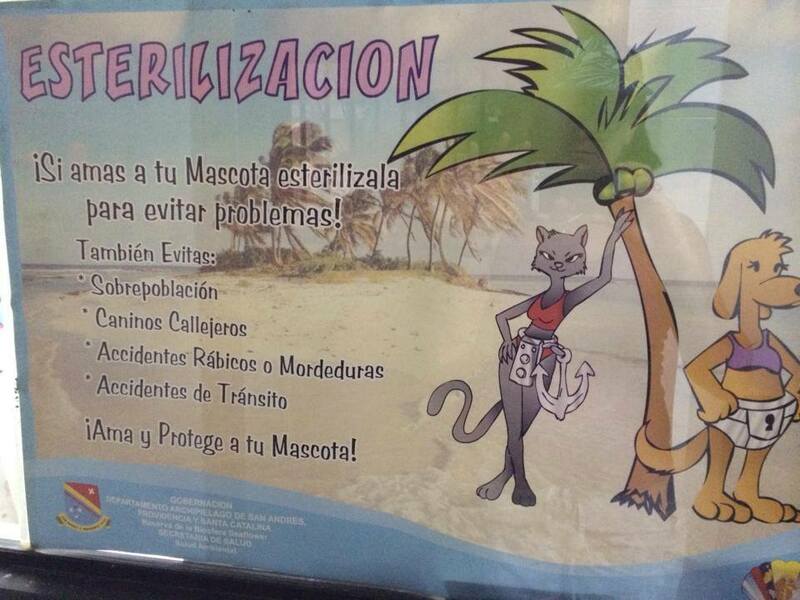 Obviously such a small area and limited resources can only support a limited number of these animals, so a sterilization campaign has become essential. 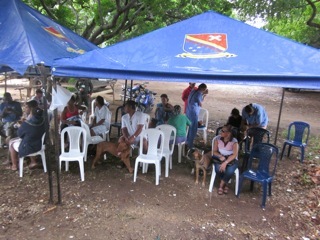 World Vets partnered with the island’s local health department, and these employees organized our project. Our “hospital” was situated in a defunct human health clinic. The “waiting room” was two large tents outside the building, and the owners checked in with volunteers from the civic defense corps, and patiently sat for their turn (sometimes hours). My operating table was actually a counter—not the most high-tech of situations, but we learned to adapt. Field medicine can be quite challenging, as we do not have access to the sophisticated anesthesia and monitoring equipment we take for granted here. Post-operatively, our patients went to our recovery areas, which were essentially cardboard-covered floors. Once they were awake, they were discharged to their awaiting owners. In addition to pet dogs and cats, we also performed spays and neuters on street dogs. They were collected by the local police and brought to us by the truckload. For the most part, they were lovely and friendly animals that survive as strays, finding meals and shelter in their neighborhoods. It was especially rewarding for me to see a couple of these “fur patients” hanging out by the beach, seeking attention, days afterwards. One thing we take for granted is the overall health of our pet population here in Washington state. 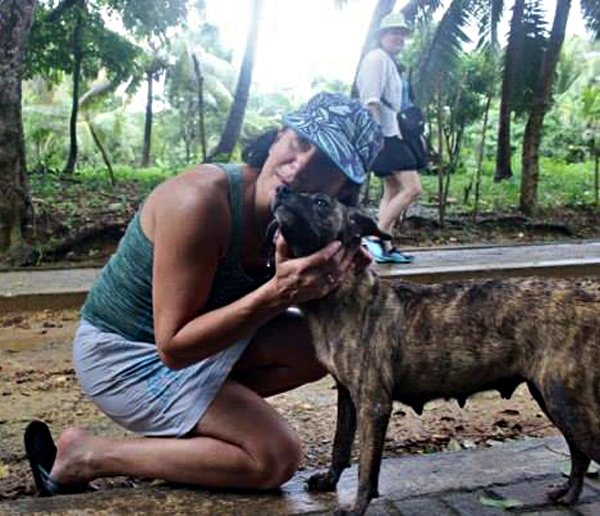 Our surgeries on San Andres were often complicated by underlying conditions, and were often quite bloody, and required more steps than what I normally do for our pets here at our clinic. 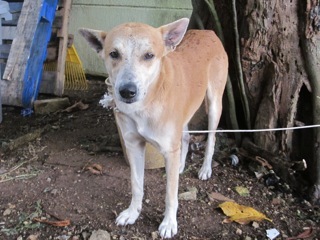 Many of San Andres’ animals are infected with tick-borne disease, heartworm, and chronic parasitism. It was a little frustrating for me to deworm a pet, or apply flea control, knowing that this is really just a temporary Band-Aid, but all we can hope is that, with education, will come better health. Our World Vets team of 8 women (an amazing trip leader, 4 surgeons, 2 technicians, and 1 general volunteer) could not have performed almost 200 procedures without our wonderful volunteers. 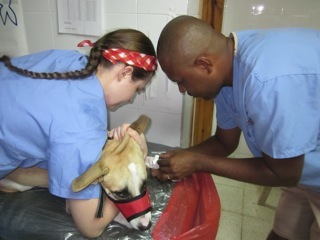 We had several health department employees, including two veterinarians, helping out as translators, placing catheters, recovering animals, sterilizing equipment, and most importantly introducing us to the island’s incredible culture. When we worked, we worked hard, sweating through 10-12 hour days. However, I am happy to say, I was able to play just as hard. Nothing beats an escape from the dreary Northwest December weather like a trip to the tropics. I was able to scuba dive, go running along the spectacular Caribbean, tour the island, and eat fantastic food. It was wonderful to be able to get to know the natives, practice my Spanish, and even learn a little Creole. I can hardly wait until next year’s adventure! Since 1954, Bothell Pet Hospital has been operating as an independent small animal hospital, providing primary veterinary care to cats and dogs in Bothell, Lake City, Lake Forest Park, Kenmore, Woodinville, Mill Creek, Kirkland, Brier, and other surrounding neighborhoods. This entry was posted in World Vets and tagged canine, cat, dog, feline, feral cats, stray dogs, veterinarian, world vets. Bookmark the permalink. Awesome! Thank you for documenting your experience. I am joining the trip this July 2014 and I am particularly psyched. Wishing you a most wonderful experience!